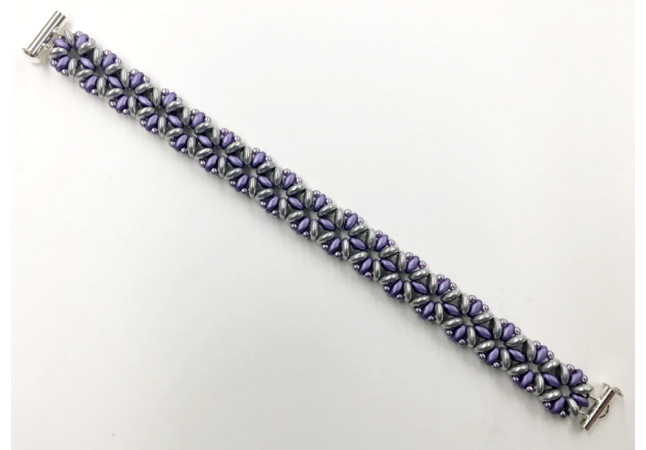 This is a fun project that uses the popular 2-Hole beads, the SuperDuo and Lentil and tiny pearls. The colors used can give it very different looks. It is a nice fine flower chain. This is an advanced beginner project. 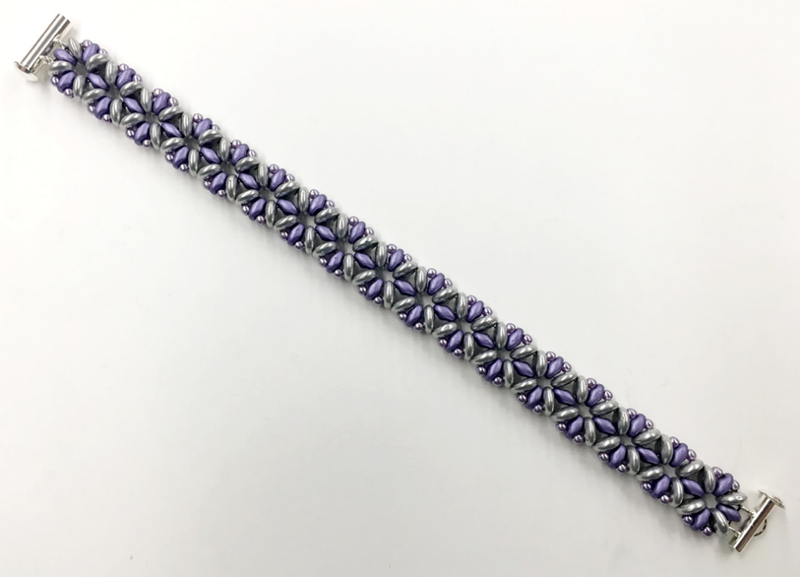 You should have tried bead weaving before and are getting comfortable with it but not necessarily an expert at anything yet. Class Fee: $40 + Kit $35. 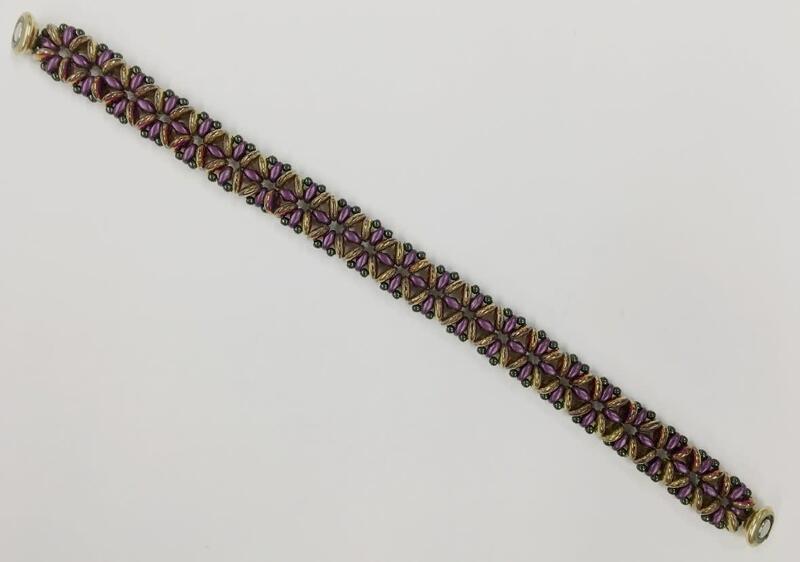 All materials, beads, and findings provided for you to complete a bracelet project. Bring glasses if you need them. Call the gallery to signup.